Never a horse to be missed in running, the big and genuine galloper Sergeant Hightower made a welcome return to the winner's circle in the Rosemont Stud Handicap at Geelong on Tuesday. Having his 13th run for the campaign, the imposing bay had not managed a win since January 2014 but he was never far away - in the lead up to his latest success finishing in the first four at eight of his previous nine starts. 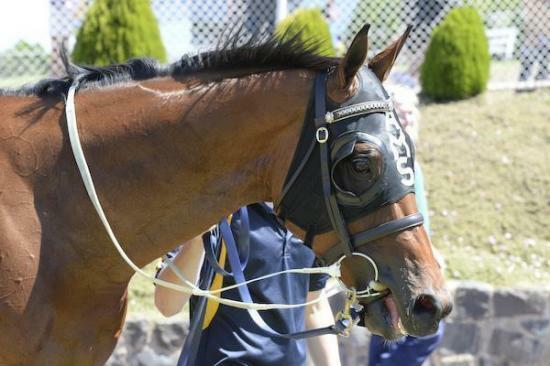 With a racing style that requires luck in running, Sergeant Hightower has not always had it but a lovely ride by Brian Higgins saw the five-year-old travel strongly into the race. Whilst the 1000m did not look ideal for a horse whose best recent runs have come at 1200m, there was pace on which allowed him to find his feet and settle. "We ended up in a lovely spot," Higgins reported, "and he got a good run through and rounded off the race well." "It was good to see him hit the line today and it was actually quite a convincing win." Getting balanced early in the straight, Sergeant Hightower reeled in his rivals, hitting the lead with 50m to go and drawing clear to win by a soft 1 1/4 lengths. "I am so pleased he got the job done today," Allison Sheehan said. "I thought it was an easier race than last time but he really wants 1200m. There was nothing else for him though and he is fit and well so I thought he might as well run." "He can probably stay in this grade for another run which is the beauty of this ratings system and whilst he is racing so well there is no reason not to continue on." Raced by C Gray, D Gray, N Wolosiuk, T Gray, Allison Sheehan, A Gray, T Gray, B Cain, M Cain, S Cain, C Cain, M Cain, B Cain, B Slade, H Slade, C Nunan, S Nunan and C Adams, Sergeant Hightower was bred in northern Victorian by Greta West Stud. A son of Churchill Downs, he is a half-brother to the city winners Two Hills and Purple Storm out of the winning Marauding mare Firhill from the family of the big race winners Burst, Historian, Bush Padre and Victory Prince.